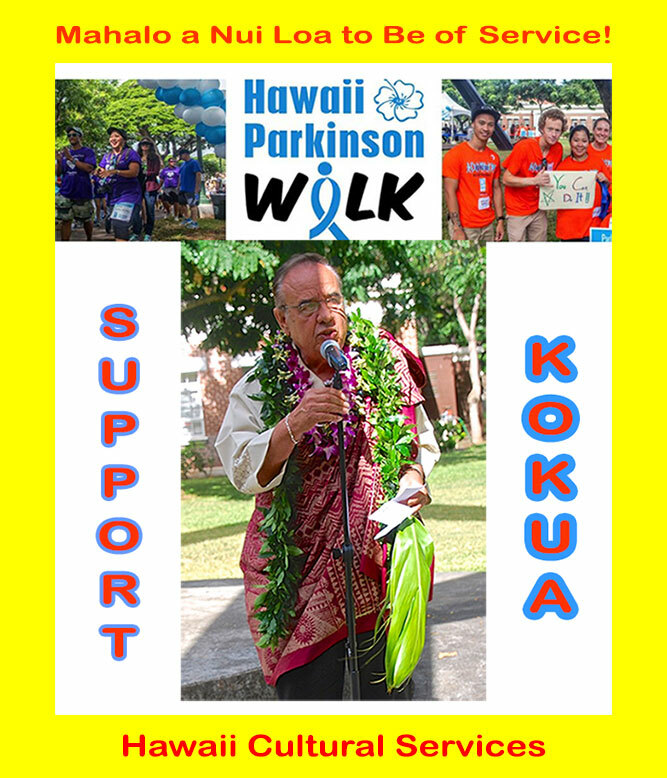 This year`s 4th Annual Hawaii Parkinson Walk on October 22 got off to a great start at Honolulu Hale Civic Grounds with a traditional Hawaiian blessings and ancient oli (prayer chants) ceremonially offered by Kahu Silva. The 3k-charity walk encourages people with Parkinson`s disease, families, friends, caregivers co-workers, healthcare professionals, and corporate leaders to unite to raise awareness about the disease. Hosted by the Hawaii Parkinson Association (HPA), the yearly event is free and open to the public. Please visit www.parkinsonshawaii.org. to kokua.